Published on January 11, 2011. Takes less than 1 minute to read. 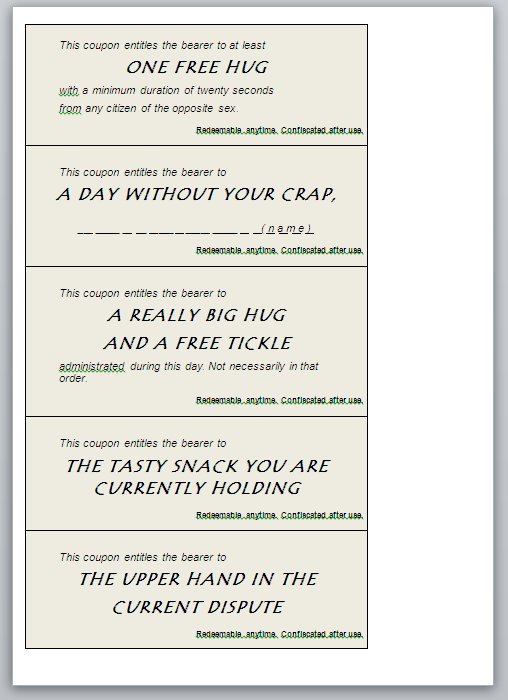 Inspired by one of Katersoneseven videos, I made some helpful coupons to use in everyday social situations. Print it, cut out the coupons and present to your friends. How can they refuse? For added validity, try adding some decorations and/or info like expiration dates.